This is a beautiful olive wood salt cellar / salt keeper. This salt pot has a pivoting lid which closes with a magnet. 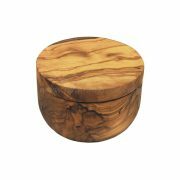 Ideal for storing and serving salt or sugar this olive wood box will make a stunning addition to any kitchen. 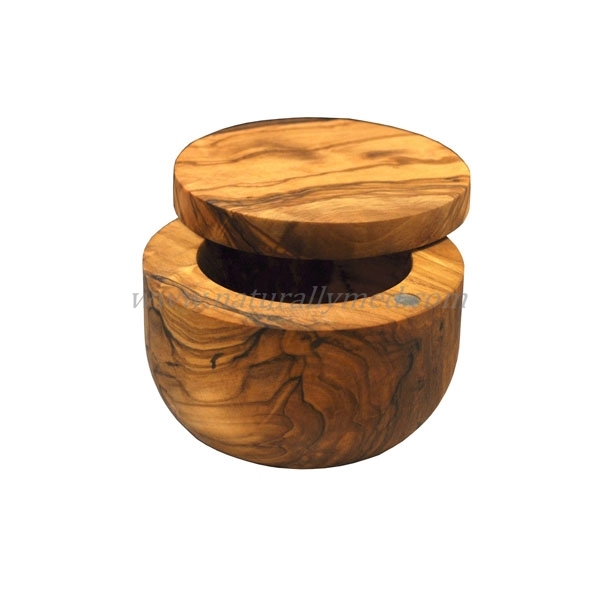 This olive wood box can be used as a salt keeper, salt cellar, sugar pot, spice box and more! This wooden salt or sugar pot measures 2.5″ tall and 3.75″ diameter and has a swivelling magnetic lid.